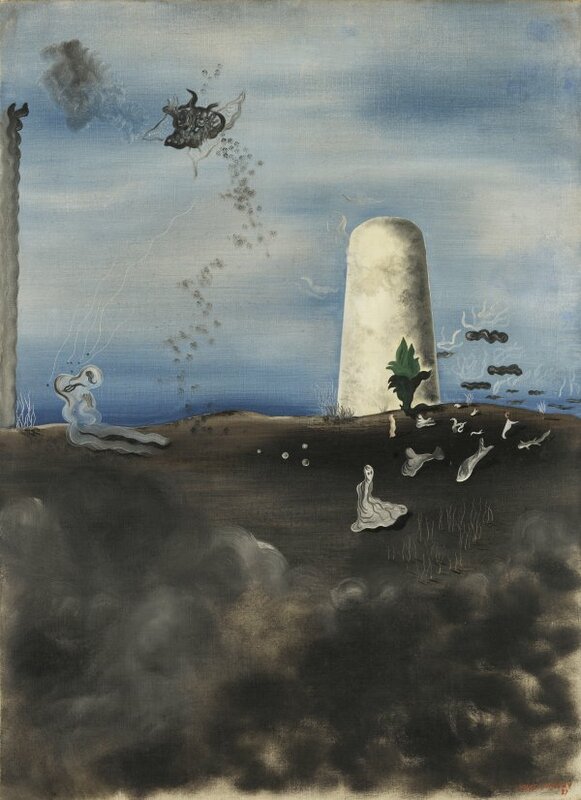 1927 marked the beginning of Yves Tanguy’s more mature and personal work. 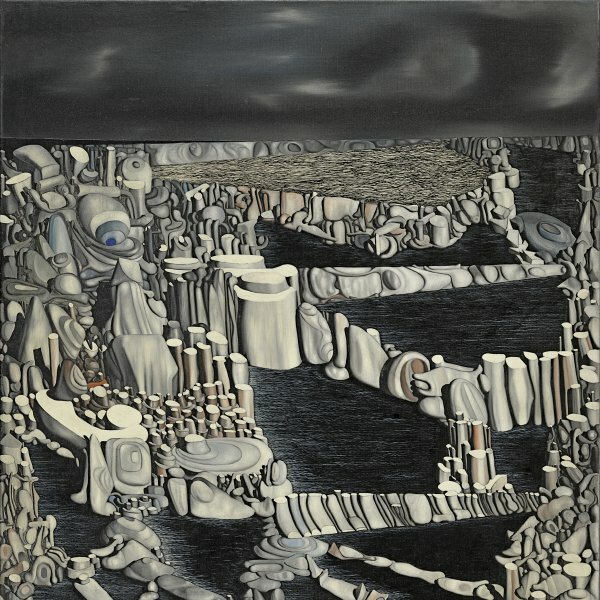 During that year the painter, who was self-taught, joined the Surrealist group and, introduced by André Breton, exhibited his works for the first time at the Galerie Surreáliste in Paris, including the present dream landscape entitled Death Watching his Family. 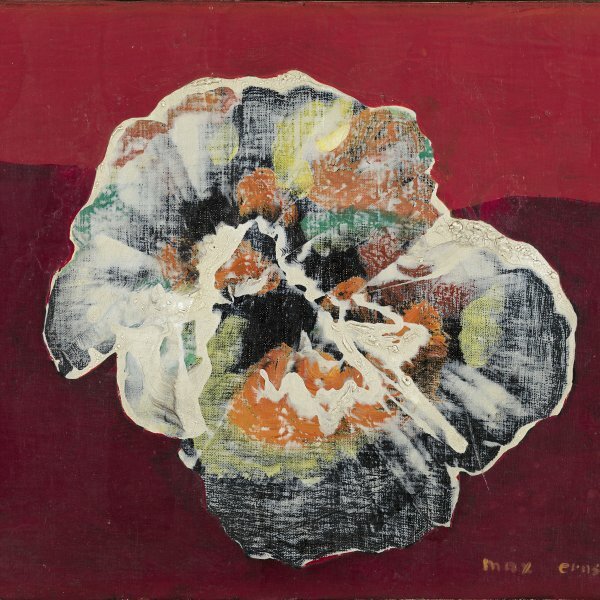 The painting depicts a beach and above it a series of biomorphic forms and a rotting corpse, together with a construction that may allude to the dolmens of Brittany. 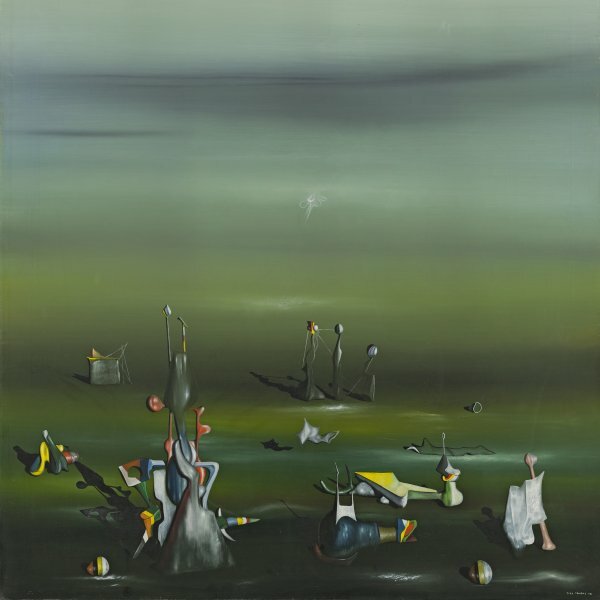 In this canvas the artist, who for a time experimented with automatic drawing, achieves an impeccable blend of the psychic automatism of the Surrealists, using greatly diluted oil paint, and a detailed, realistic rendering of the various objects, which denotes his fondness for belle peinture. The floating shapes are evidently related to those painted by Miró in the mid-1920s, while the spatial organisation of the seascape recalls the metaphysical style of De Chirico. As in other paintings from the same period, the mysterious title is taken from the last chapter of Charles Richet’s Traité de métapsychique, which deals with parapsychological phenomena. The information given on the painting’s provenance in the catalogue of the Tanguy exhibition held in Baden-Baden in 1982 stated that the work belonged for a time to Nancy Cunard. If this is true, it must have been acquired during Tanguy’s exhibition in 1927, when the writer, then Louis Aragon’s lover, visited the show. As is well known, Cunard owned a collection of works by Picasso, Tanguy and De Chirico at her Normandy home, Le Puits Carré, together with numerous African sculptures.